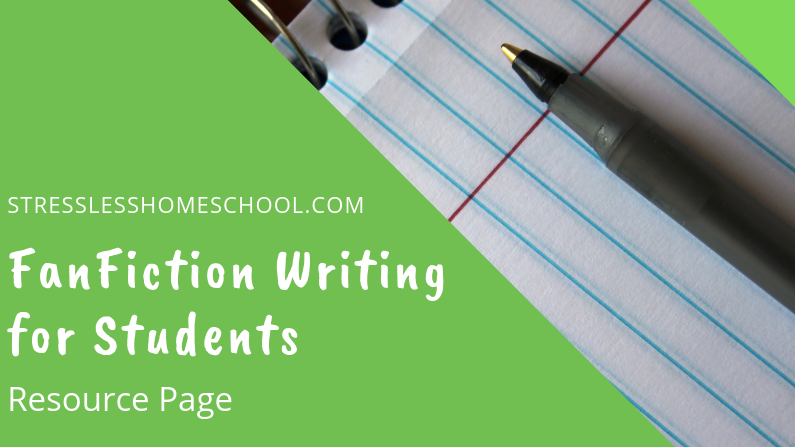 For more about how we’re using fanfiction writing in middle school check out this post. ** An Important Note – Fanfiction is extremely popular. If it’s a book, movie, TV show, celebrity, or anything else in pop culture – there’s probably a fanfiction work (fanfic) about it. Writers range from preteen to adult and the content of their writings range from G rated to Explicit. Many sites give authors the ability to give a rating to their works, but ratings are self-determined and not consistently applied. Depending on your students maturity and level of responsibility, you may want to restrict access or discuss appropriate reading and what to do if a story they’ve started isn’t what they expected. kidfanfiction.pbworks.com – Contains material appropriate for K-6 students. Submissions and comments are emailed to the site administrator who moderates for violence, language and adult themes. teenink.com – National magazine and website with submissions sole from teens. Has a fanfiction section as part of the overall fiction & novels section. Also accepts poetry, non-fiction and art work. Submissions may be printed in national magazine or featured on website. Allows comments on submissions. Stories, comments and forum posts are filtered for content. fanfiction.net – Large repository of fanfics. Must be 13+ to create an account. Self rating system K (all ages) – M (Mature themes, older teens and up). Per guidelines, explicit content is not allowed. Ability to filter by content rating . archiveofourown.org – Contains millions of works. Must be 13+ to create account. Self rating system General Audiences to Explicit. Many works are not rated and ratings are not consistently applied. Mature themes and sexual content common. Ability to filter by content rating. Google Docs – If you want to share student stories only within a small group, Google docs could work. Enable sharing with specific files, or create a shared folder in Google Drive and all documents within the folder will be able to be viewed by authorized users. More options for sharing with the world at large include publishing your own website on WordPress.com, creating a Tumblr.com account, or sharing on wattpad.com. Each has it’s own benefits and drawbacks.